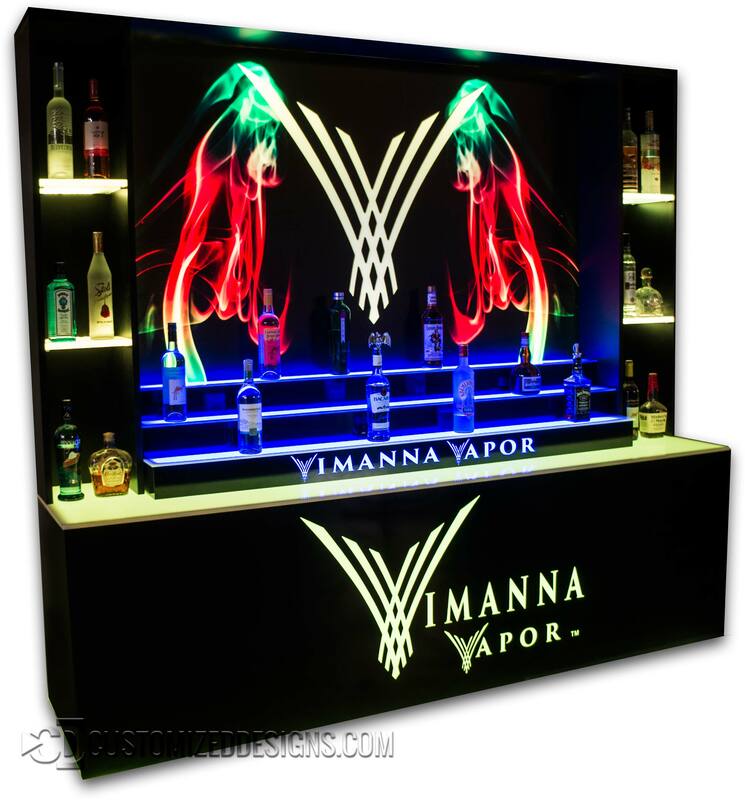 This is a cool project we did for Vimmana Vapor recently. It’s a full back bar for their vapor store which consists of a custom made cabinet with integrated led shelves, 72″ 3 tier bottle display, a custom back lit printed logo and an 8′ custom cubix table that serves as the base for the entire setup. The LED lighting the different components are independently controlled so they can create an endless amount of color combinations! The entire back bar breaks down into sections which allowed it to be shipped in sections and re-assembled at their store.